Ojo's World: So, I'm a bad mother? So, I'm a bad mother? I'm so bloody tired of it! Reading expert, after expert, telling me what I should, and shouldn't be doing, with my sons. Just this week I read an article, that was about too much screen time. At one point she even said her daughter was 'zombified' after spending time on a tablet. Personally, I think she should get her daughter checked out, if a screen is having that effect. The article was mostly about reducing screen time for our children. Quite frankly, it has me really riled! All these articles, about what our children should be eating, drinking, watching or playing, are too generic. They don't take individuals into account, every child is different. They also don't take into account any special needs, or learning difficulties. I allow my children to monitor their own screen time. My youngest lives on a diet that consists of, approximately, 10 items in total. I rarely go to parks. I rarely read my youngest a bedtime story. So, I am a bad mother, yes?? 2 of my children are on the autism spectrum. Screen time helps keep them calm. I have used screens to explain things, to teach. I credit school and an iPad for teaching little A to talk. After a day at school, which RJ finds incredibly stressful, his Xbox calms him. My youngest son has sensory issues, even the smell of certain foods cooking, will make him heave. I was told very early in his diagnosis, that calories were far more important than content. He uses up so much energy stimming, that I need to keep him nourished. My youngest child hates leaving the house, has done from the age he could let his feelings known. A lot of places are very over-stimulating and, come spring, the parks are full. Would you take your child there, if they had little danger awareness and it made them a nervous wreck!? Another problem, particularly local to me, is the lack of well maintained parks. They are left to be overrun by tweens and teens that have little respect for themselves, or the property around them. I don't want my tween around that. Little A struggles to read and write, attempting it gets him highly stressed, bedtime is not the time. I used to read to, and with, my eldest. My middle boy would often read himself, he could read from a young age, but now finds it boring (I keep looking for something he would enjoy). With my youngest it's a mood thing, we simply try to judge when is the best time to approach it, and go with it. My teen is a caring, thoughtful, teen. He is the first of my family to go to college, and stick to it! He did well in his GCSE's. My tween had been given very high targets in school, and is reaching them. He, at the age of 12, is about to take his grade 5 guitar exam. Is well liked by many, particularly in his last school. My little A is striving everyday to break down barriers. We were told he would likely be non verbal......he doesn't shut up!? You are not a bad mother....It sounds like your children are wonderful and are doing so well! All children are different and have different wants and needs! Stuff the guidelines! My youngest is on the spectrum and thank God for technology, that's all I can say! 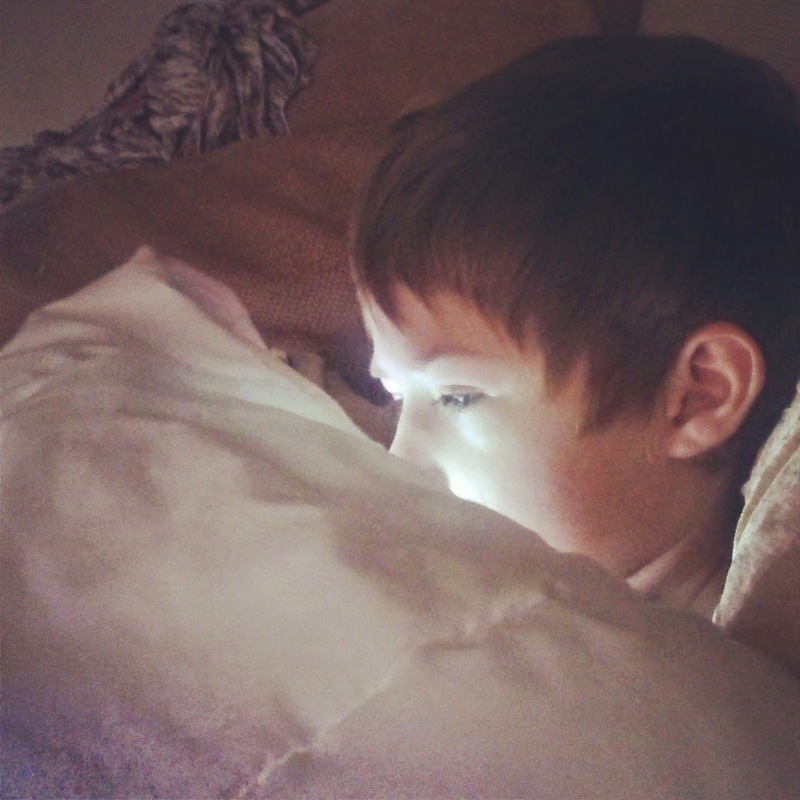 It calms him and allows us to a few things that we had no chance of doing before he had his tablet. We do what we have to do to make our kids happy. It's tough having a child with autism. It's permanently challenging. You sound like a great mum to me. Brilliant post. As a teacher of 17 years I have have had to develop my strategies according to the child, and I am the same with my own 3 girls. You know what's best for your children so be strong, You certainly don't sound like a bad mum to me!